This week, as we launch our new programme of support for private tenants, we reflect on rising vulnerability in the sector. We know that a secure place to call home is essential for maintaining wellbeing. It provides the foundation for family life, personal wellbeing and work or educational opportunities. It is a place to rest, to recuperate, to raise children, and to gather with friends. It is enshrined as an international human right because of the intrinsic importance of shelter to our lives and our survival. And yet, 21st century Britain does not guarantee this right. 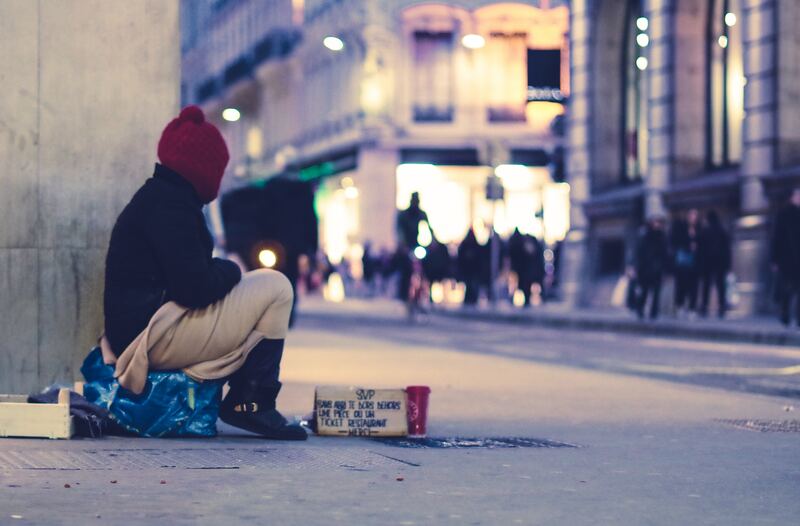 In the last 15 years, homelessness has exploded to record levels, effecting an increasingly broad segment of society and including many people in work and who are still unable to cover housing costs. 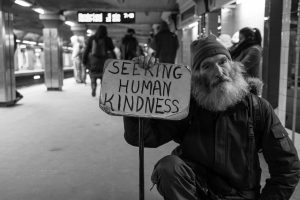 As rental prices have surged and social or genuinely affordable housing is in short supply, it is the generally unstable, insecure and expensive private sector that is now housing low income, vulnerable people. The growth of the sector is what has contributed to the 100 evictions that are happening each day across the country. However, the capacity of the sector as it is currently managed to provide secure, safe, quality and affordable living environments is still in question, despite many local authorities relying on private landlords to house their vulnerable residents. Local Housing Allowance has been cut since 2011 and frozen altogether since 2016, meaning it doesn’t come close to covering rents. In London, this means an average shortfall of £50 a week, and outside of London, £26 a week. This is having a compounded effect in a sector where there is reluctance to rent to housing benefit recipients in the first place. Eviction from a privately rented home is also now the most cited reason for homelessness acceptances, and the quality and conditions of private rented homes at the bottom end of the sector is poor, bringing with it a host of health and wellbeing minefields that impact children and already vulnerable people disproportionately. There are also calls from landlords for access to information and support, with surveys in some parts of the country revealing two thirds of them have tenants with mental health problems that need support, and many of those landlords said they needed a place to find guidance. There is a growing movement of campaigners, advocates, policy makers and professionals calling for an end to short and insecure tenancies and stopping “No to DSS” practices, increased regulation through licensing and rent controls in the private sector. But while those policy changes are essential, it is also important that vulnerable people currently living in the sector have access to support. While registered housing providers in the social sector have a statutory responsibility to protect vulnerable adults (or ‘adults at risk’) under the Care Act 2014, in line with local authorities’ legal duties on housing the homeless or preventing homelessness, there is no such responsibility on the part of private landlords. In addition, since 2010, cuts to public services have bored a hole through the fabric of our communities, meaning that there are fewer places, whether local authority or community based services, to find advice or guidance during what is an extremely stressful experience. And depending on definitions, who is deemed ‘vulnerable’ is rather expanded in the context of housing. Julie Rugg’s recent update to her review on the private rented sector, published at the end of last year, uses a broad definition of vulnerability to include households with dependent children, recent migrants, people with long-term sickness or disability, households in receipt of benefits, and households with residents over 65. This is an expanded definition which see’s ‘vulnerability’ as something largely inevitable at some point during the life course, and something that can happen to many people during their life as a consequence of any number of incidents that adversely affect a household’s income, like falling ill, or being made redundant. RSP+ has been developed to tackle these issues by building partnerships with local authorities and their local landlords to find alternatives to evictions before they happen. This idea has been brewing for some time, and came into being after we participated in the Young Foundation’s brilliant ReimaginingRent programme, which support initiatives tackling challenges in the private sector. The model works like this: Over 10 weeks, we work with vulnerable tenants with multi-complex needs to find a route away from eviction, whether the cause of the threat is a Section 21 notice, high rent arrears or other hidden challenges. We use holistic approaches to tackle the causes behind the causes, focusing on strengths, building confidence and community connection, and coupling emotional health with practical support. This means our practitioners can make a lasting difference in people’s lives, all the while avoiding the emotional, social and financial cost of eviction. As private sector landlords are a varied group, it is often difficult for councils to have a full understanding of the sector, the standards of the housing on offer, and whether the rights and needs of tenants are being supported. So, RSP+ offers local authorities a route to greater understanding, communication and integrated working between councils and landlords for their residents. 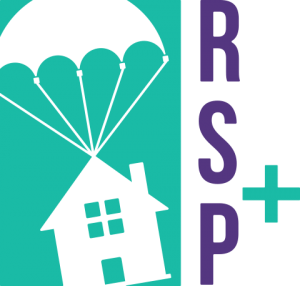 You can find out more about the Rent Support Programme Plus (RSP+) on our website.